Posted on 10/16/2018 by Mark Engleson	in Live Review and tagged 9:30 Club, Americana, folk, Indiana, Murder by Death. Normally, the 9:30 Club has the latest shows in town. On weekends, those shows go even later. Headliners regularly go on after 10. 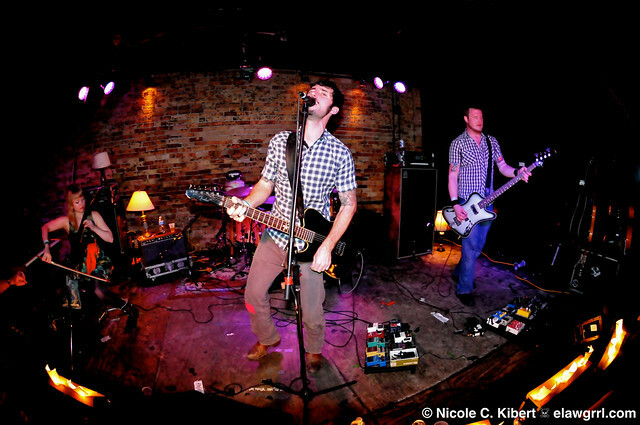 It was a lucky thing that I checked the showtime, because it turned that the Murder by Death concert was an early show! I went straightaway from work to the venue, arriving just as doors opened. Tim Barry appeared as promised at 6:30pm, with the second opener, William Elliot Whitmore, performed at 7pm. Tim Barry, who is from Virginia, piqued my interest. WEW has been on my radar for a while, and I was excited to finally see him. He has a new album out, Kilonova. The crowd was almost entirely in its 20s and 30s. Many wore black t-shirts, especially shirts proclaiming their love for Murder by Death, or MBD. Beards were common among the men. It was not a friendly crowd. I sat down on the stands to rest my aching foot during MDB’s set and was harassed by a drunk. Halfway through the set, MBD broke out their “secret” song: “Pizza Party! (at Gloria Estefan’s House)” Thirty seconds of Latin rhythm in the style of Miami Sound Machine satirically creates the supposed atmosphere of Estefan’s house. Adam repeatedly calls “pizza” and the crowd response “party!” This silliness provides a much-needed palate cleanser. MBD’s songs have a gothic weight and intensity that could wear out an audience. MBD knows how to manage a crowd’s energy. MBD closed their set with “It Will Never Die,” from the 2014 album Big Dark Love, and “Comin’ Home,” from Tooth and Claw (2008). After raucous applause, they returned to the stage for an encore. They played “Three Men Hanging” from their second album, 2003’s Who Will Survive and What Will Be Left of Them? MBD closed the evening with “I Came Around” from Bitter Drink, Bitter Moon.